By Costa Maragos Posted: March 14, 2018 6:00 a.m. They might seem like unlikely allies, but ranchers and prairie conservationists have a future working together. At least that’s how Phil Rose, a master’s candidate in Biology, sees things. Rose has been spending hours in the field, tracking grassland birds, which are some of the most at-risk birds in North America. Grassland bird populations on the prairies (Manitoba to Alberta) have dropped by 55 per cent over a period of 44 years, according to a study by the World Wildlife Fund. 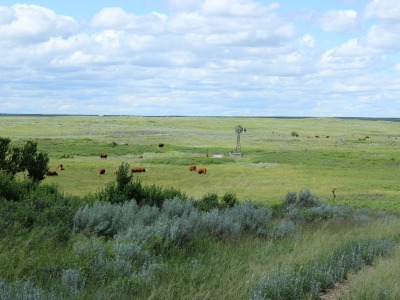 The report cites farming and agriculture as the main causes of habitat loss in the prairies. Songbirds generally require large tracts of open prairie and tolerate little to no trees or shrubs. Their living preferences often clash with the needs of modern agriculture. In Saskatchewan, fewer than 25 per cent of native mixed-grass prairie now remain and that has had a devastating effect on the most at-risk bird species out there. 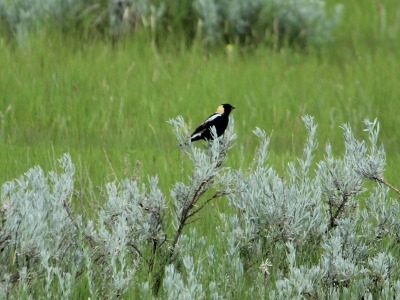 There are six grassland songbirds listed as species-at-risk in Saskatchewan. Complicating matters is that each bird requires its own distinct grassland conditions. Some of the birds prefer tall, dense grasslands while others prefer sparse grasslands with greater amounts of bare ground. Rose has conducted a series of songbird surveys throughout Southern Saskatchewan counting songbirds and measuring the grassland characteristics in the survey area. Now here’s where the ranchers come in. “The trick is to share the necessary information with ranchers and help them create ideal conditions on the landscape, using cattle and grazing,” says Rose. Rose’s research also considers the potential economic impact on ranchers. 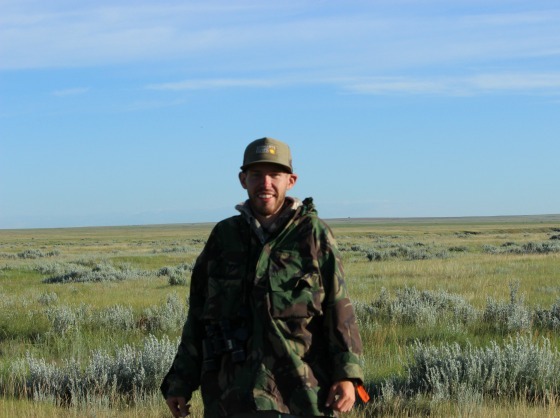 Rose hopes his most significant research contribution will be about helping bridge the gap between wildlife conservation and the ranching industry. “These two ideas have often opposed one another which has resulted in increased tensions on both sides and a lack of will to work together,” says Rose. Phil Rose is working under the supervision of Dr. Mark Brigham, Professor in the Biology Department and Dr. Stephen Davis, a Wildlife Biologist with the Canadian Wildlife Service Prairie and Northern Region and an adjunct professor at the U of R.
The research has received funding from the Mitacs Accelerate Program, Saskatchewan Forage Network, South of the Divide Conservation Action Program, Saskatchewan Ministry of Environment, Nature Regina, and the U.S. Fish and Wildlife Service.